M-Tech offers large variety of loyalty cards famously known as membership ID cards in India. These membership ID cards help organizations in keeping the track of their members. Shops or malls can have these membership cards to keep electronic track of the purchases done by each individual; various sports clubs, health clubs, and spas issue membership ID cards which have facilities of tracking the activities of members. Due to the tremendous work and process convenience possible through the use of these membership cards, they are fast becoming an essential part of various organization's day-to-day activities. Increasing number of Indian companies and institutes are adopting membership cards as these cards save manual surveillance efforts, cost and time as well. M-Tech has manufactured over millions of membership ID cards and haven been supplying cards to top retailers of India and overseas. 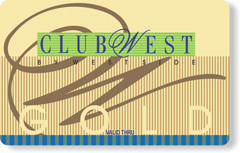 We offer completely customized membership cards according to the required specifications of the organization. The membership ID cards solutions can be personalized depending upon the individual entity or member details required as per the organization's process. One of the keys to business success is customer loyalty. Plastic loyalty cards prove an excellent marketing tool for rewarding current customers and attracting new ones. Loyalty cards & membership cards with personalized information add tremendous value to customer service and strengthen a company's brand recognition. Plastic membership ID cards card add prestige to the card holder and confers various organizational benefits to him. It strengthens relationships and proves helpful to track valuable data and create powerful brands. Our superior quality product - membership card printer provides enhanced security, improved and excellent print quality cards. With this membership card printer, you can have quick and cost effective professional quality ID cards at your end. Although many Indian ID card manufacturers provide membership cards solutions at competitive prices, the specialty of M-Tech lies in production of complete solution including membership card printer along with loyalty cards of best and consistent quality, appearance and excellence to suit all your business needs.